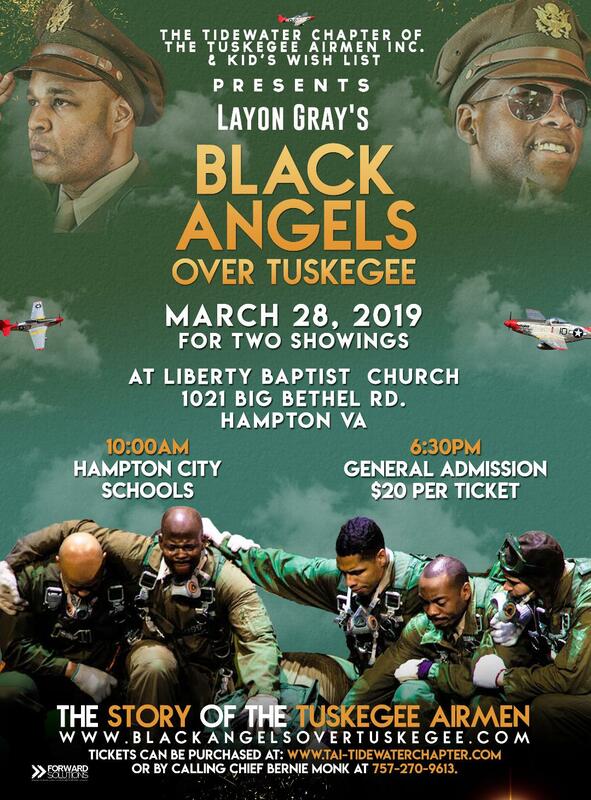 The Tidewater Chapter of The Tuskegee Airmen, Inc., and Kid’s Wish List – cordially invite you to attend the off-Broadway play “Black Angels Over Tuskegee”. This play depicts the valiant heritage of the first African American Military Pilots which must be preserved for the next generation. Meet and greet our Documented Original Tuskegee Airmen and the cast.